Maybe it is the gypsy in me but I love traveling and I like to stay in hotels of all sorts. Sometimes I might be a bit difficult customer but that is another story. What is in a name? And I am talking about the name of a hotel. I.m.o. it should be representative for what the hotel is offering. But in Thailand accommodations use the names of their place very freely, sometimes this has to do something in the law of Thailand. So a place that is actually a hotel might call itself a Guesthouse or Homestay. In Thailand the latter is also called Home or Baan. Like Xxxxx Home or Baan Xxxxx. And to secure SEO of course you put the name of the city in the name of your accommodation. Like Baan Xxxxx Bangkok. Or something in the name the refers to a nearby location. Like Xxxxx Riverside Hotel or Xxxxx Park View Hotel. The latter is a bit weird if there is no park at all nearby. But what is a hotel, homestay or resort? I will discuss the types of accommodation used in Thailand. In Thailand the name resort has sometimes a bit other meaning as you would think of. Most times they are outside town and have bungalows where you can park your car next to your room. Originally this kind of places where meant for people who needed a room only for a few hours and do not want to be seen too much. So in Thailand sometimes the word resort is used for short-time hotels. Most times this kind of hotels have a name with a number and offer 24h service. In other countries you might call this a Motel. Guesthouse : As a simple hotel, originally in a private house that has been converted for accommodation. In my personal opinion a guesthouse should be cheap and offer guest to be able to socialise with other guests. Homestay : A place offering accommodation in their own house of the host. A bit like a Guesthouse, it should be cheap and offer guest to be able to socialise with other guests. Resort : A luxury hotel offering accommodation and recreation like sport, entertainment, restaurants, swimming pool, etc. Personally I think a resort should be located in a big garden. Boutique : Seems to be used in combination with Hotel, Resort and even Guesthouse. A place with between 5 and 80 rooms offering upscale accommodation. In the lower segment of hotels, resort and of course Guesthouses the term boutique is nowadays overrated to attract customers. Personally I think a boutique should not have more as 20 rooms and have a boutique (personal) atmosphere. Hostel : A place offering dormitory, mostly with bunk beds and shared bathroom and sometimes also kitchen and living room. Aimed at socialising of younger travellers. Poshtel : Comes from 2 words posh hotel. It is as a hostel but then more luxury and actually sometimes it is just as a hotel but using a different name to attract other kind of customers. Personally I think that price-wise some poshtel are in the hotel or boutique hotel category. If you then still get a shared room and/or shared bathroom I think you could better stay in a hotel. Floatel : A floating hotel, most times floating on a lake or river. It could be a ship or rooms build on a ponton. Inn :In the same category as guesthouse or homestay but from the beginning setup to be serve as accommodation. Originally a Inn would be upcountry or along a highway, from the time people still needed horse for transport. Lodge : In the same category as guesthouse but originally setup as free standing house in a park, being part of an estate to offer accommodation to travellers. 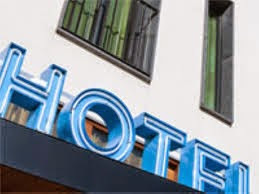 & Spa : As add-on for hotels and resorts to attract spa lovers but most times it just means that there is a massage within the premises of the accommodation. Personally I associate a spa with a natural spring and a place offering miniral baths. But I might be old fashioned. Bed & Breakfast or B&B : In the same category as guesthouse but at least you should be able to get breakfast. Although in Thailand it seems that sometimes the name is just used because it looks international. Cottage : A small old-fashioned house, again in Thailand the name is sometimes totally misinterpreted. A condo building that has been converted into a hotel is not really a cottage. Resotel : Not sure if this is only used in Thailand but it seems to be a resort along a river.